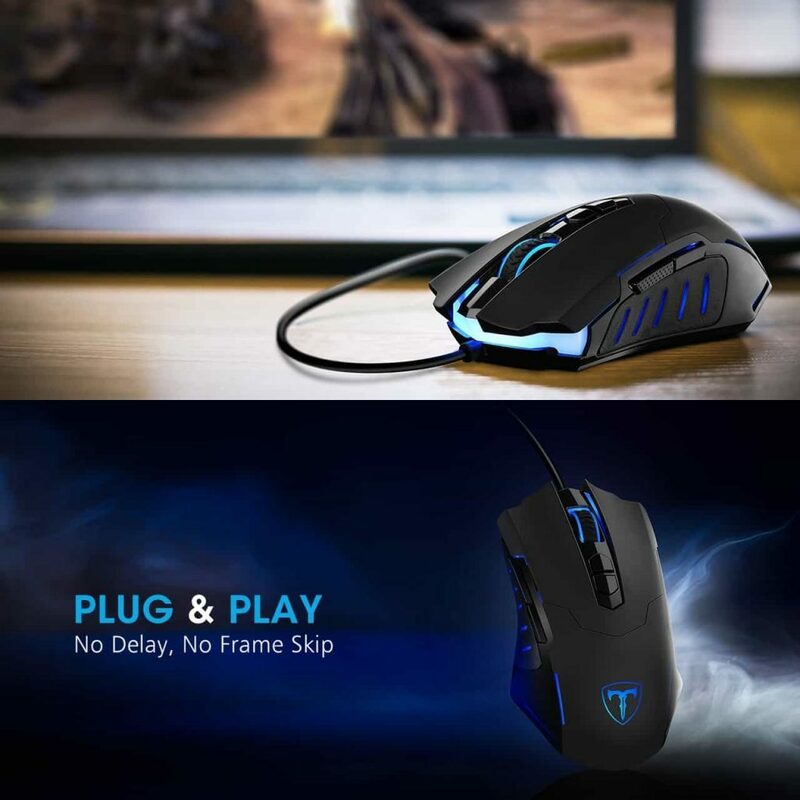 Gaming mice are similar to regular mice – obviously minus the fur, sharp teeth and the desire to leave little brown droppings everywhere. 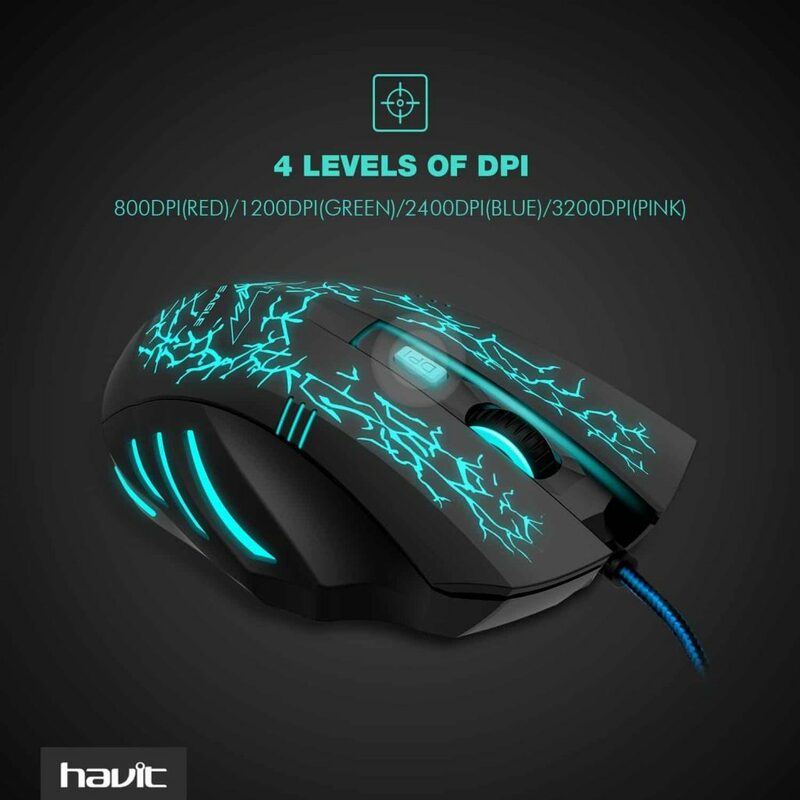 A decent gaming mouse should have a mixture of features including an optical or laser sensor. This allows for faster, more precise movements, and a decent level of user customisation. Extra buttons for thumb activity, long cables, sensitivity adjustment, and adjustable weights are all features that are worth considering as well. 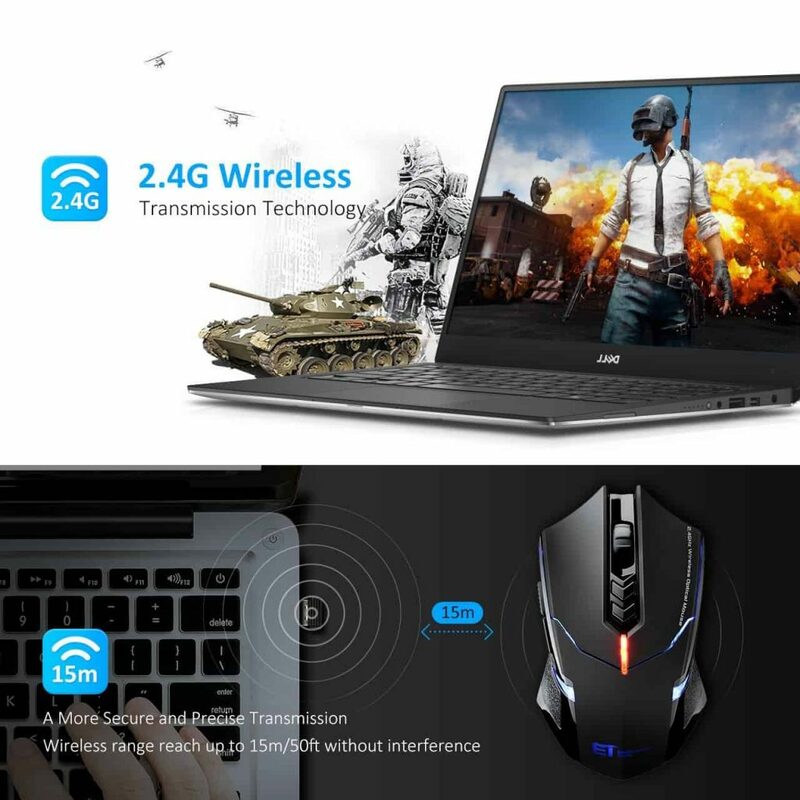 The majority of gaming mice are wired, as wireless mice have more of an input lag, a less stable connection and rely on batteries. 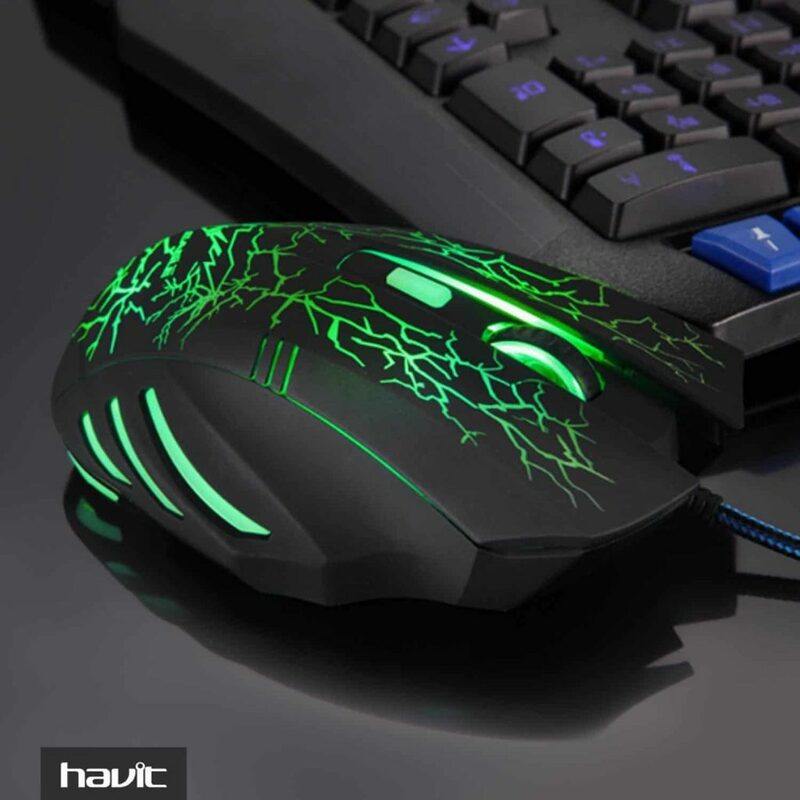 Gaming mice are generally build to last, with bigger, more robust buttons that often respond with a tactile click, souped up scroll wheels, and an ergonomically designed heavy duty body. On opening the box there was a huge amount of protective packing to search through before locating this space age, neon green and black beauty. 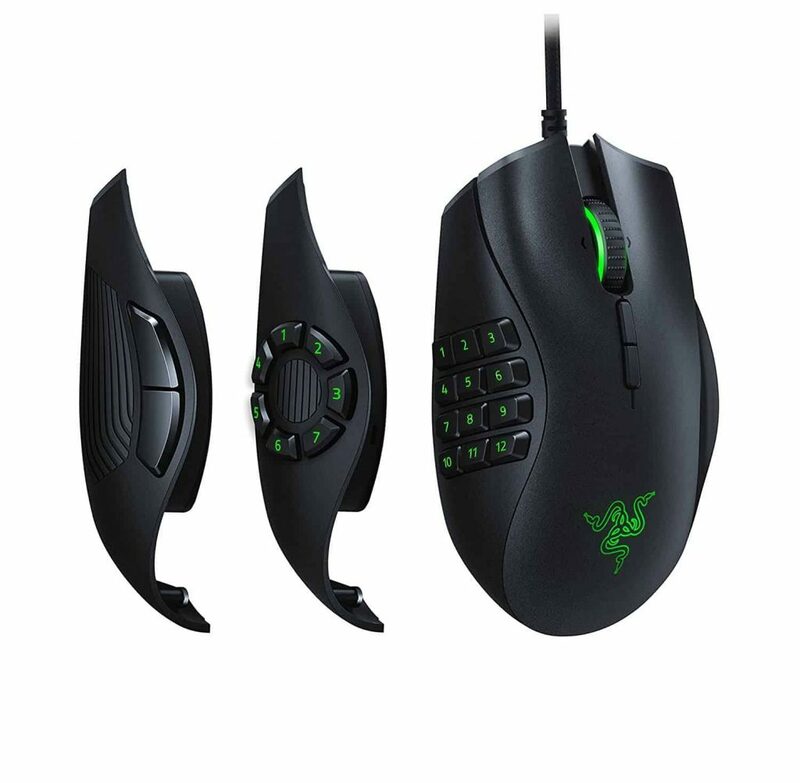 It fits comfortably in the hand, with the rubber grips perfectly placed and the various buttons easily accessible. Lighter than most of the other models tested, it still feels beefy and tough enough to withstand a high energy gaming session. 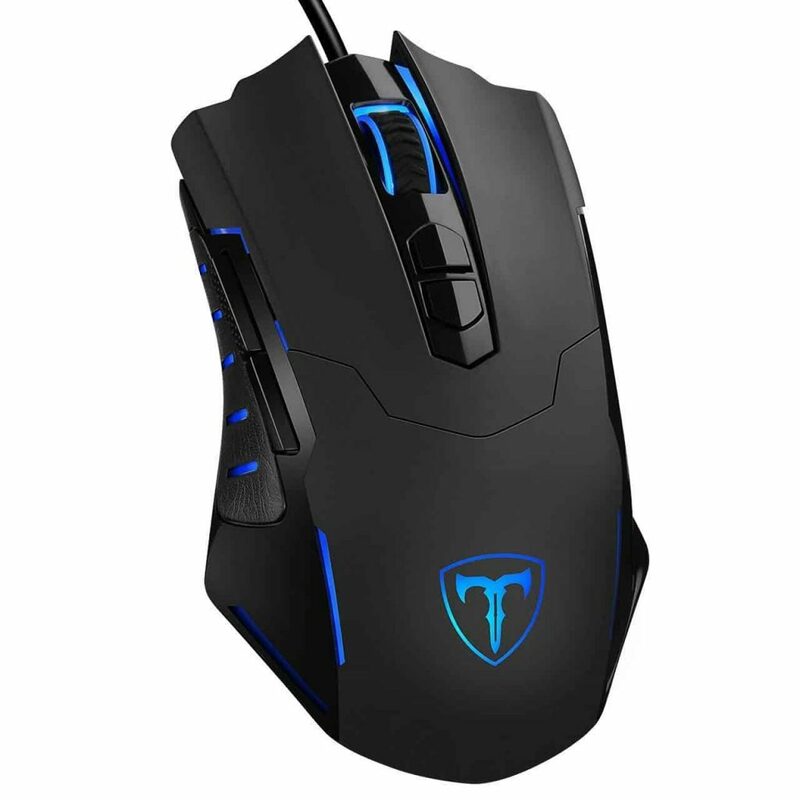 This mouse is in the bottom price bracket, but one of the top for performance and ability. With a huge range of programmable buttons, and interchangeable plates, this speedy little mouse can become one with your hand, customised to fit in so many ways – you command, and it jumps. The Razer Naga Trinity is a really good mouse, with a smooth action and a wheel that rocks left and right, and can scroll websites without having to roll the wheel. The side buttons take a bit of getting used to, but like anything new, once your muscle memory takes note, they can really up your gameplay, and increase your adrenaline rush. This leads us onto the next issue, which may seem like a minor niggle – the thumb rest’s little rubber circle has become quite worn and slippy with use. 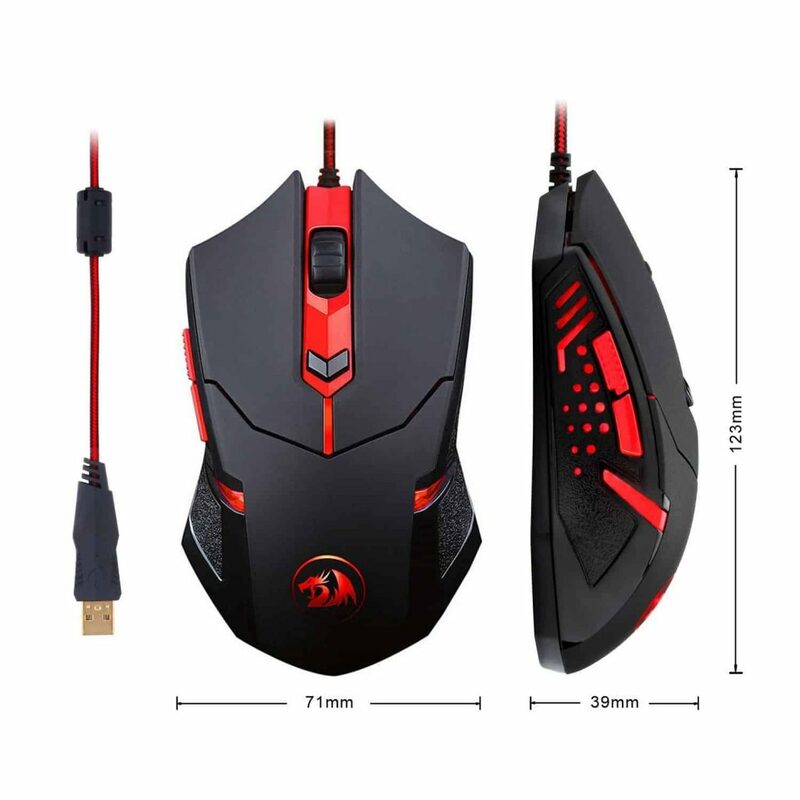 This is a great value-for-money gaming mouse - it fits in your hand, but can be used effectively on other surfaces, it moves with smooth rapidity, and is built to last. All in all, a good purchase. This mouse wouldn’t look out of place on the control deck of the Millennium Falcon; it has lights that flash, lights that run in sequences, lights that change colour, and then some extra lights, with a couple more lights thrown in. Impressive! 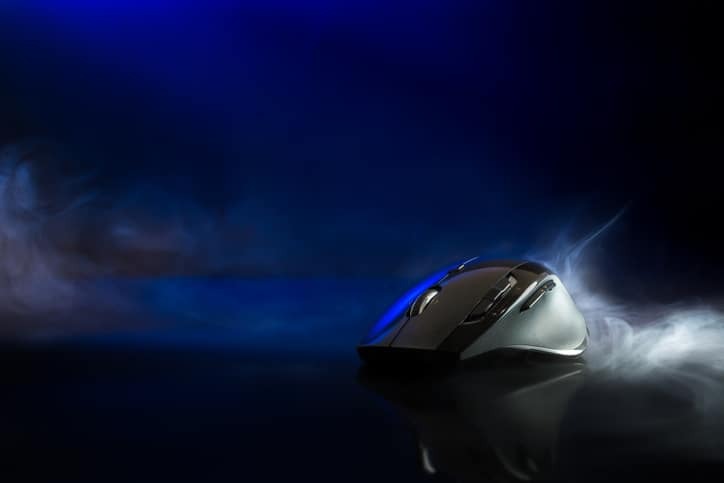 The Pictek is a slick, lightweight mouse, offering – along with the impressive lightshow, an ergonomic design that’s comfortable to hold, very responsive, and completely customable. Although we didn’t explore this option, apparently it can also record macros. All this for a ridiculously low price makes the Pictek stand out of the crowd. This mouse does have the annoying habit of moving the cursor ever so slightly when you pick up and move it. The way round this seems to be that if you wish to reposition your cursor, you may have to lift up the mouse a fraction to do so. Seriously, though, for the money paid, this is a small hardship! 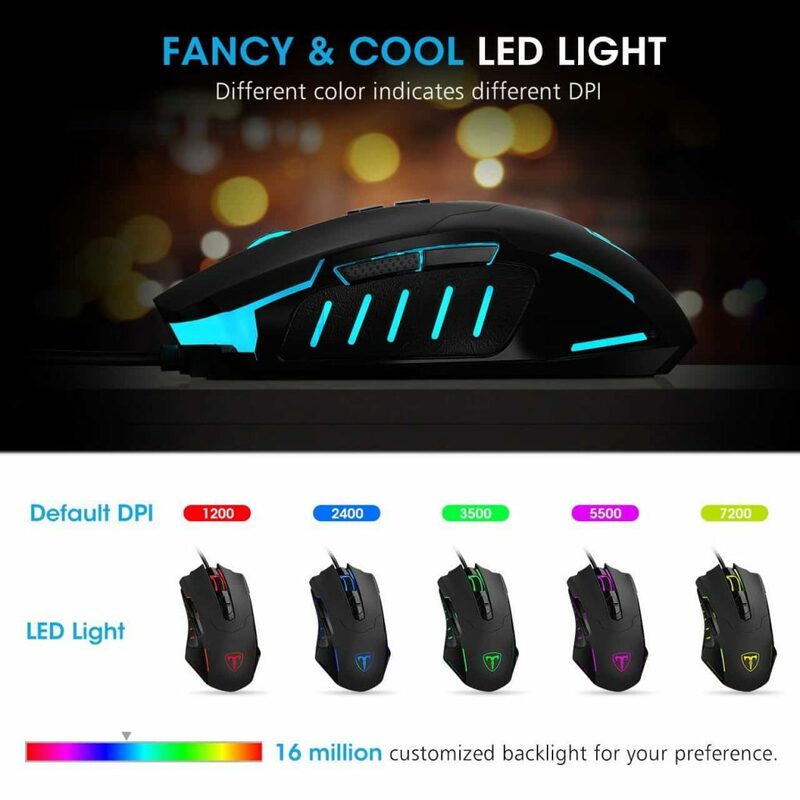 We love this gaming mouse – it’s easy to manouevre, and by turning night into day with its lighting system, I’m sure it saves on my electricity bill. Being wireless, we were a little tentative with this one, but our concerns soon gave away to sheer marvel. 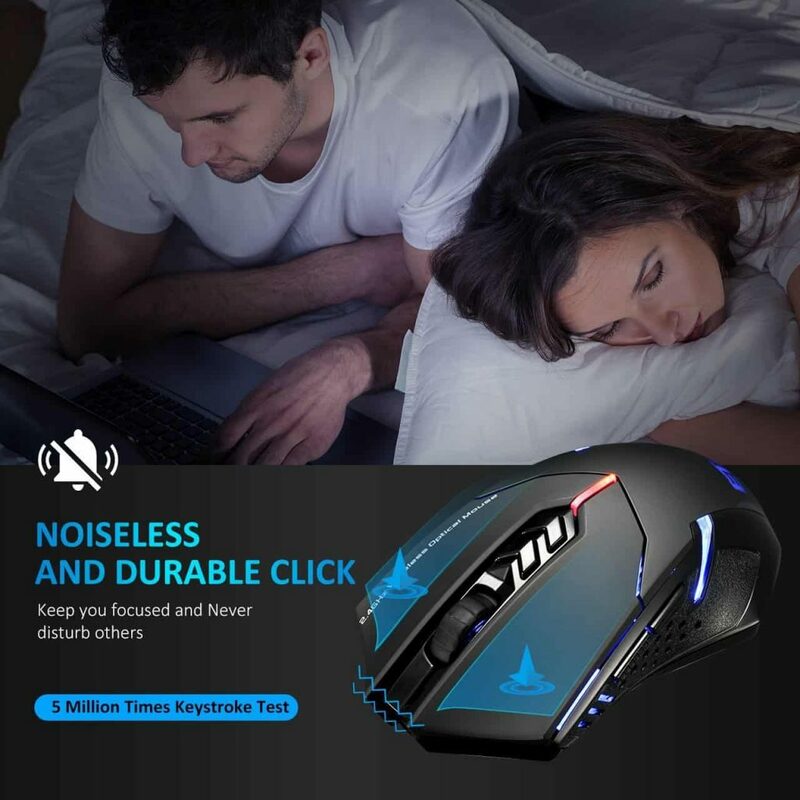 This mouse is advertised as being for the ‘casual gamer’ and we feel that’s a fair assessment. It may not pack the specs necessary for a pro gamer. Having said that, the price is very reasonable. Being wireless, it’s crucial that the power/battery indicator on the VicTsing works effectively – we are pleased to report that it does, and that the battery life is great, even though we left it on all the time. We gave this mouse a thorough work out, and it coped with everything I threw at it, feeling solid, well made and, for the price, we were thoroughly impressed. 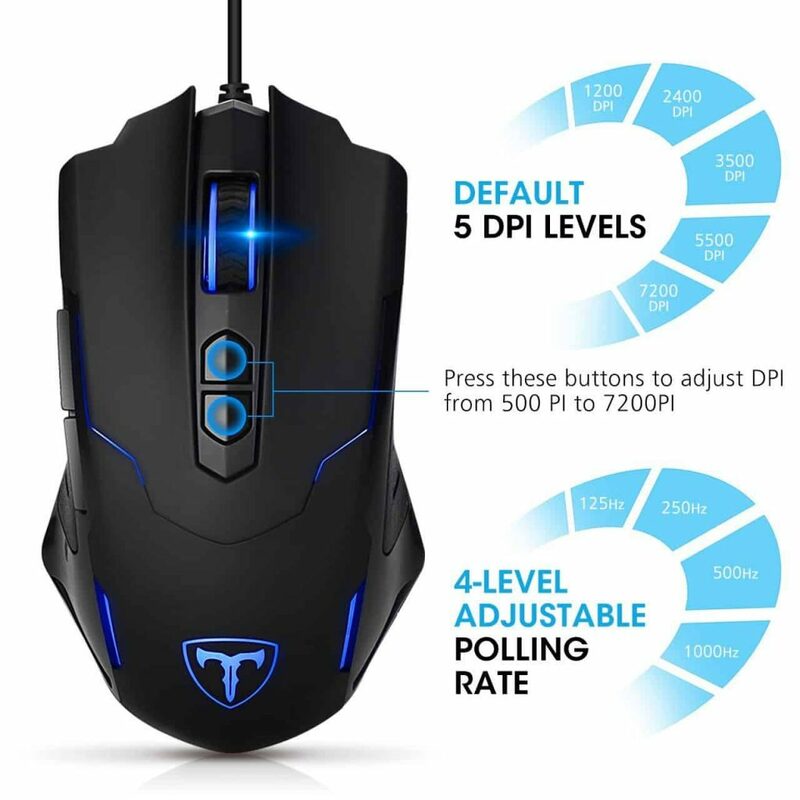 This mouse will serve you well for every day gaming and computer activities. For anything more demanding, you’d be better placed paying for a higher calibre product. 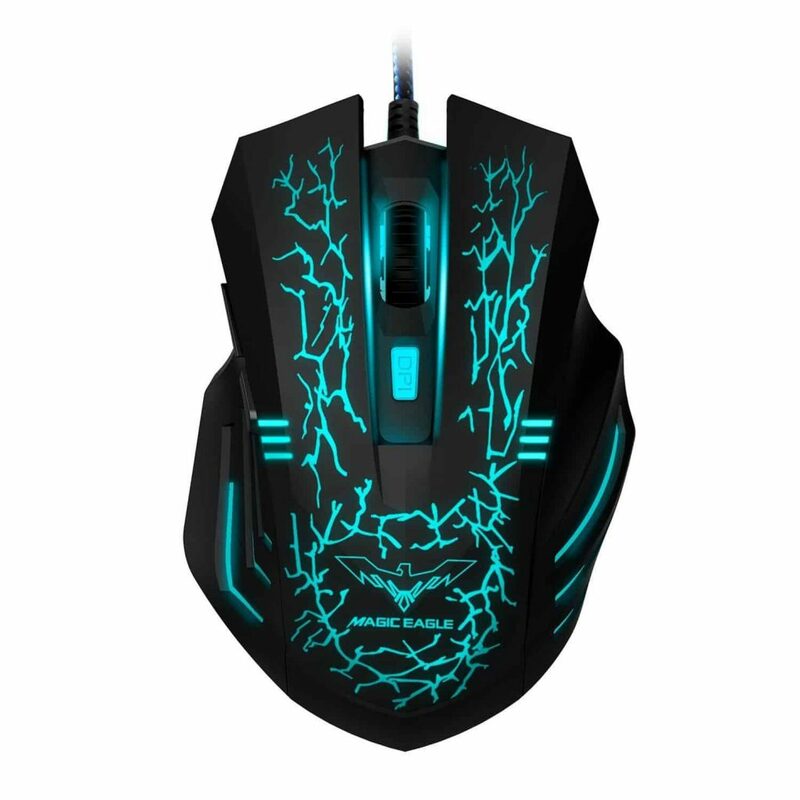 This is a good gaming mouse. The programmable controls work well and are positioned for easy access, the scrolling is smooth, and the silent ‘clicks’ are great for gaming ‘on location’. 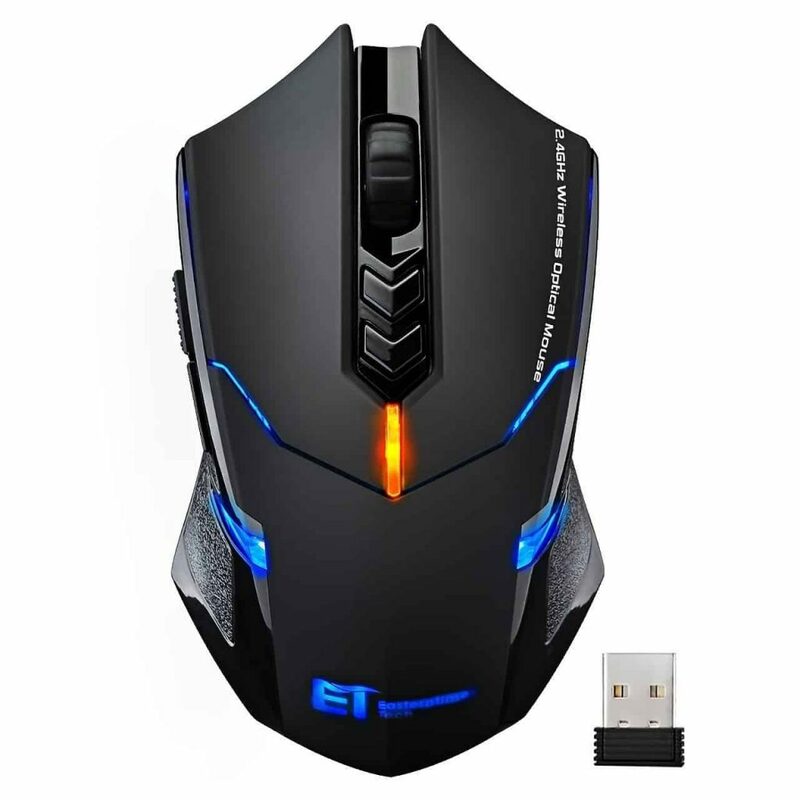 All things considered, if you want a cost effective mouse for casual gaming, pick this one! Opening the box on this mean looking mouse felt like it should be accompanied by dramatic piano chords. The Redragon sat in a cloud of bubblewrap, ready to take on the world. 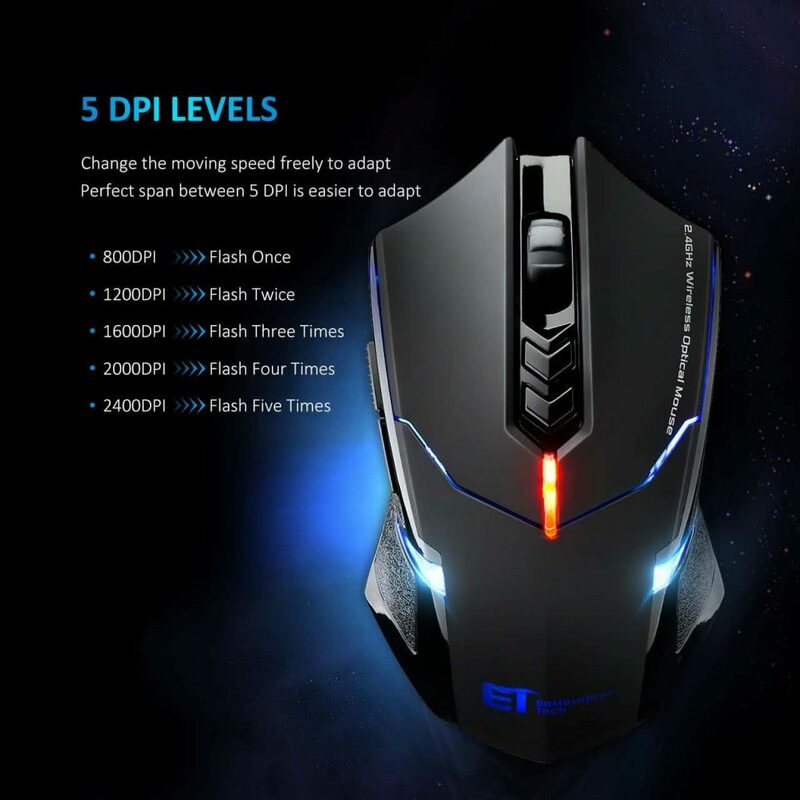 After prolonged use, it’s another great mid-range mouse that will make most gamers happy. 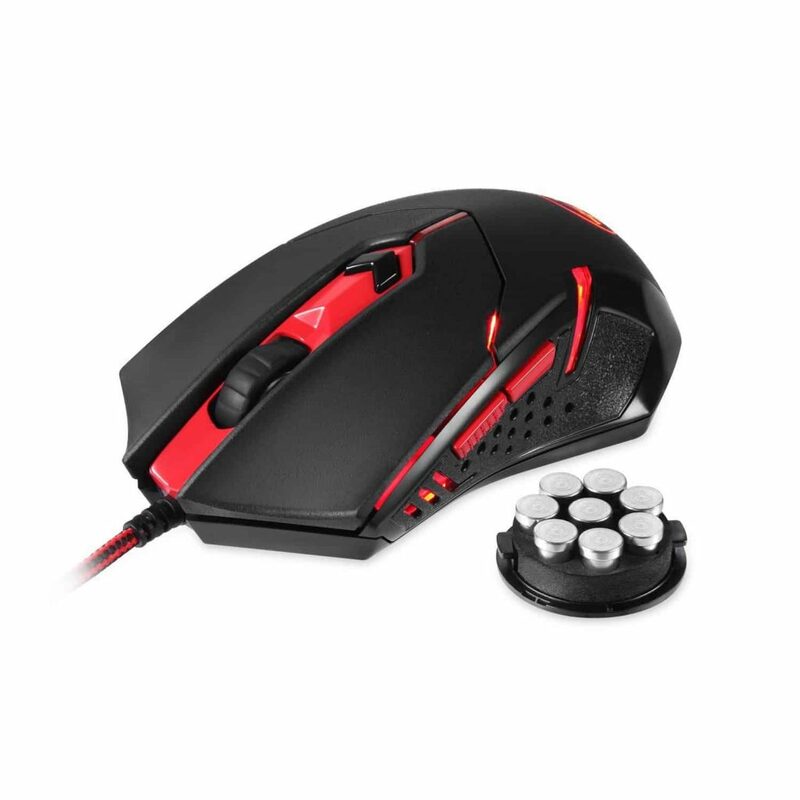 The Redragon is really comfortable, and easy to grip – perfect for tense, sniper moments. Also perfect for those scenarios, the control over the crosshair movement is very impressive; just the merest movement is picked up and adjusted for. The buttons are robust and responsive, the mouse wheel has the treaded rubber finish only previously granted to the tyres of agricultural vehicles, and the price is great. The red lights are an added bonus! Whilst the lightness of weight becomes less of a problem as you get used to it (and have a play with the optional weights), the mouse body doesn’t feel as robust as some others tested. Strangely, though, the buttons seem hard wearing and would possibly outlive the actual mouse by several millennia. 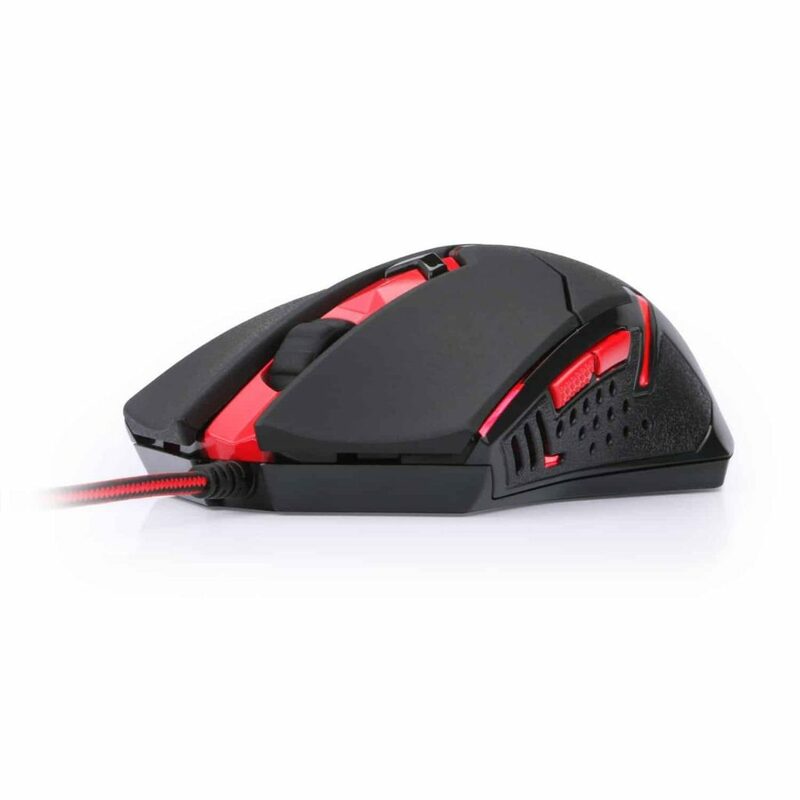 For the price, the Redragon is a great gaming mouse – responsive, comfortable, and well designed. We like the option to personalize the weight, and were won over by the non-slip braided cable. It’s a small thing that makes a surprisingly big difference. 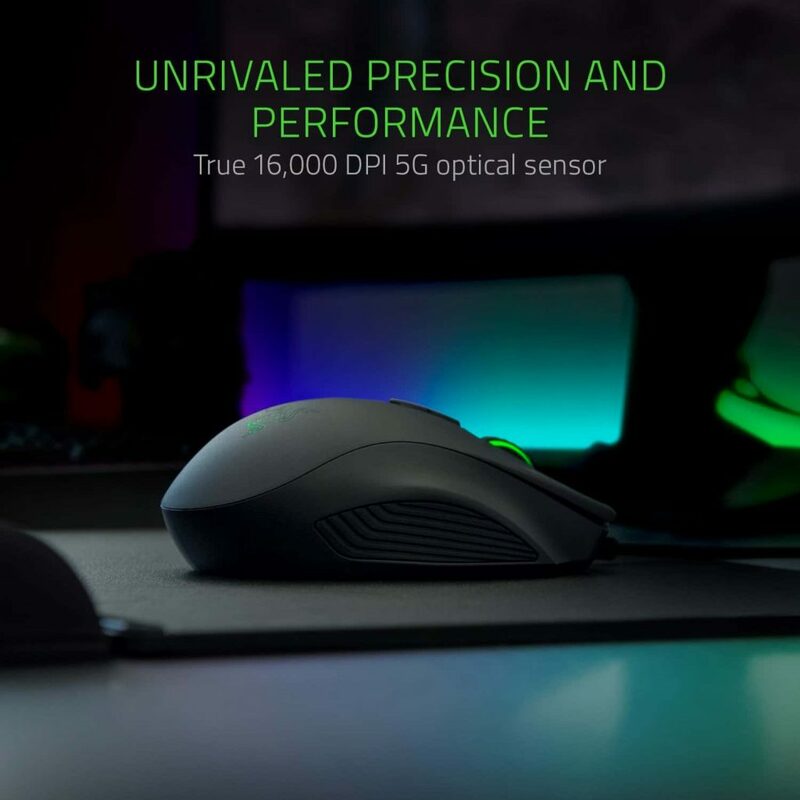 Overall we are pretty impressed that this mouse delivers such a great experience at such a great price. On first viewing, we found the blood-vessels-of-the-heart design, complete with colour changing LEDs, a touch eccentric. Havit claim this unique ‘breathing’ effect provides ‘a soothing and calming ambient light’; and once you get used to it, we think you’ll love it. Moving away from dazzling LEDs, the actual mouse works really well, and feels like a more expensive piece of kit. This mouse is incredibly touch responsive, fast and smooth, answering my every request like an eager-to-please puppy. It’s really comfortable in my hand too (with the added advantage that then the ‘ambient’ weird breathing LED display is covered up). It’s also a good weight, and has a solid, expensive feel. 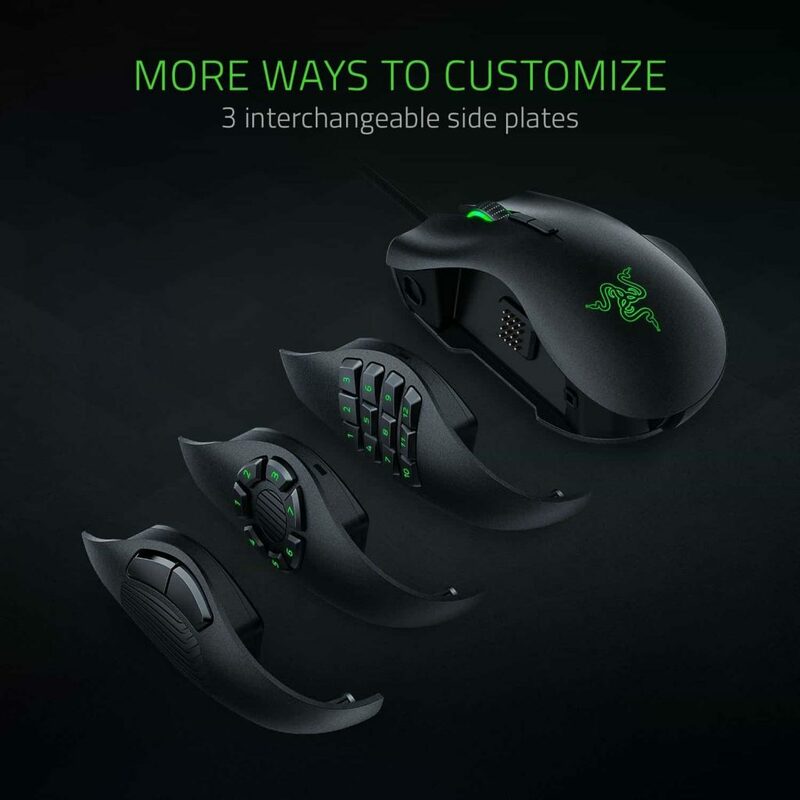 The only issue that we have with this mouse is that the forward/back side buttons appear to work in the opposite way to other mice. The ‘back’ button is usually towards the back of the mouse, whilst the ‘forward’ is nearer the front. However, the Havit does things the other way around, and this takes a while to become familiar with. 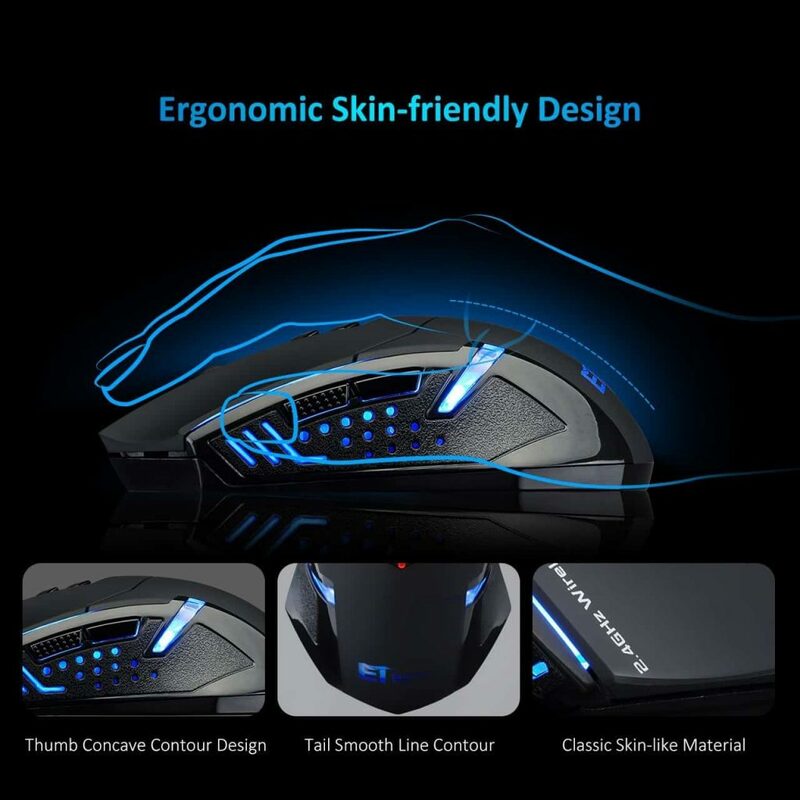 There’s a lot to like about this mouse; the ‘plug and play’ does exactly that, the ergonomic design fits my hand well, and the weight allows it to slide smoothly when used on a surface. 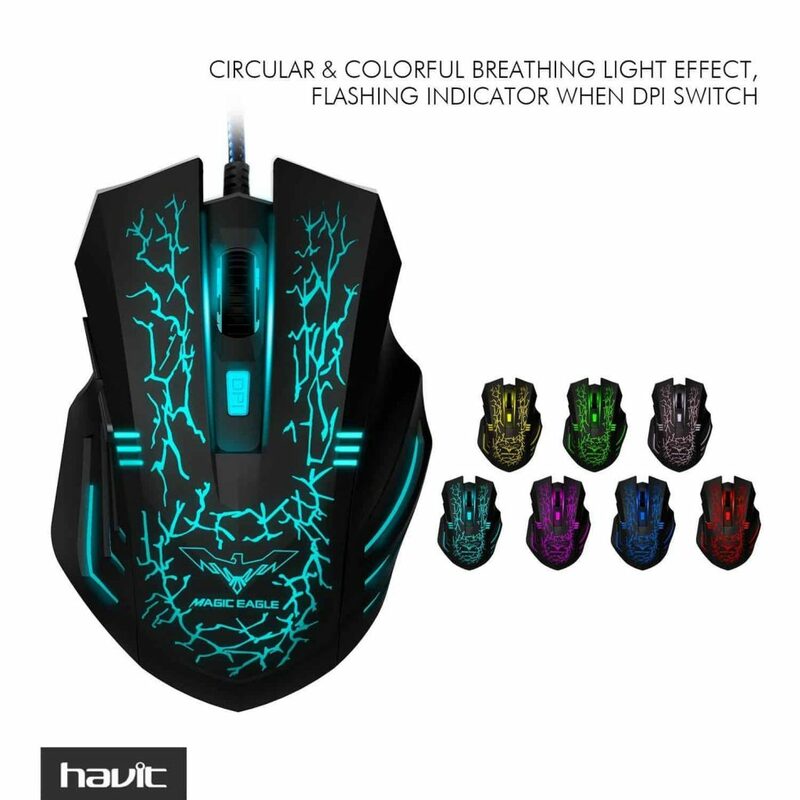 For such an inexpensive mouse, its performance is impressive, and you’d be hardpushed to spot the difference between the Havit and a much more expensive mouse. If you liked this page then feel free to check out some other recommended articles!